a "re-construction" of the "First Chimney", which was torn down in 1994. 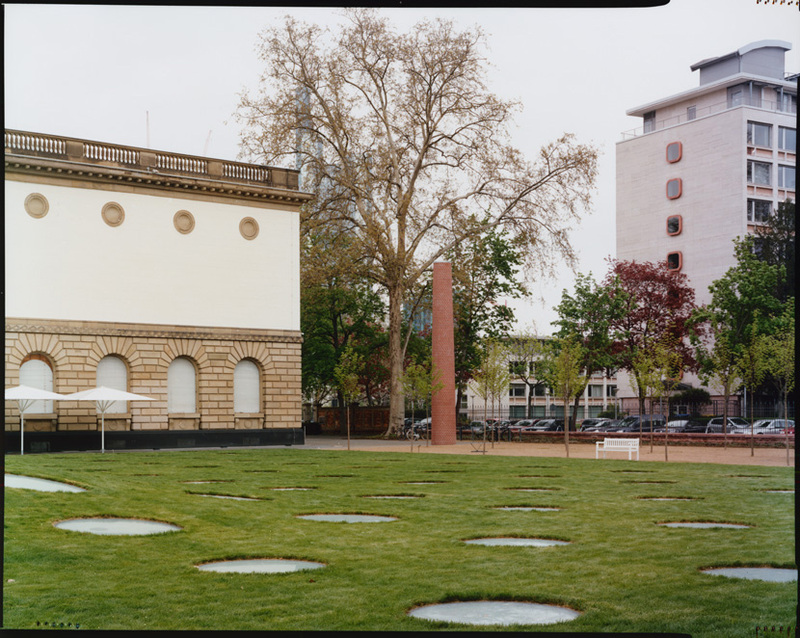 "First Chimney II" is 10 m high and was built in March-April 2013 as a permanent sculpture for Frankfurt's Städel Museum gardens. Construction team. "Talk"-diary from construction period (illustrated). During April-June JS also showed a selection of chimney related works inside the museum. Alternative view. Project image. Photo work in an edition of 3, 2016.